There are also a lot of references to the development of the company's business, image and corporate structure in the sections Style and Press. I have tried to make this as impersonal as possible but inevitably my own experiences form part of the story. This history is dedicated to the memory of Frank Herman, who died 30 March 2009. See here for an obituary in the trade press. "Uncle" Frank Herman - the man who started it all. 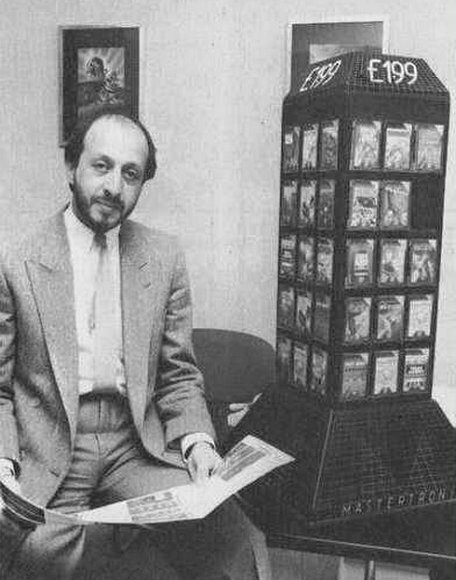 The business that became Mastertronic was started in London late in 1983 by four experienced businessmen:- Frank Herman, Martin Alper, Terry Medway and Alan Sharam. Unlike many of its competitors in the games software business, the company was not set up by programmers seeking an outlet for their creations, nor was it part of an established business with money to spare, dipping its corporate toe in the games industry's rising tide. As the business grew, Herman, Alper and Sharam gave up their other interests and committed themselves to succeeding as publishers by selling games as cheaply as possible. Other publishers seemed to be concerned only with the process of creating the software and marketing an image, a strategy aimed directly at the consumer, with the hope that customer demand would somehow bring the games into the shops. In contrast, Mastertronic aimed its strategy at the distributors and retailers. If the games could be put on the shelves then the low selling price would do the rest. The core of the strategy was the idea of "budget" software - games priced at less than £3.00 at a time when most good sofware was £5.99 or more. In fact, Mastertronic went for £1.99 as the basic price.This is explained below. Within three years the company was the leading supplier of games software in the UK and selling all over the world. The story of how the business began is not wholly clear and it rests on a couple of coincidences. Herman was the distributor for a line of American videos and knew enough about the duplication process to see how this could apply to computer tapes. Alper and Medway were running a video shop in the West End, Video Tapes International, (and they may have had other business interests, including a restaurant in which former champion boxer John Conteh was involved). Sharam was a partner in a surveyor’s practice, Hirshfields, based in George Street in London. The first coincidence is that Alper and Medway's video shop was also in George Street and Hirshfields were the commercial managers of the building in which the video shop was located. The second is that Herman, who knew Alper and Medway through the video business (I assume he supplied them with product) also knew one of the partners in Hirshfields, Colin Gershinson. Herman and Gershinson had met not only through property deals but through charity work, in which Herman had an abiding interest, and had known each other for many years. It is likely that it was Herman who thought that a cut-price games business could be commercially successful, got Alper and Medway enthused, and then had a word with Gershinson about finding a space for them to start up. (Gershinson has told me that he never knew Alper or Medway until Herman introduced them to him). This in turn involved Sharam who probably handled the arrangements for letting out a basement location in the George Street building that Hirshfields managed. But before that space was available it appears that games were being produced and sent over to Sharam's office - in Gershinson's words "I recall with Frank putting the tapes into boxes for shipment on various occasions". Ken Dye, Sharam's assistant (who worked for Mastertronic until the Sega takeover and then continued as stock controller with Sega) claims that the business actually started in the stationery cupboard at Hirshfields. It is likely that at this time the games were simply old stock purchased from other publishers and the customers a limited range of video shops. George Street. Elegant, expensive and where, in a basement, it all began. Before this back office business could grow, it was necessary to move the product into a much wider range of shops. 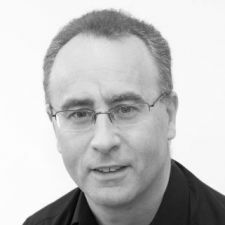 At this time one of Herman's key contacts in the video distribution business was Richard Bielby, ex-professional cricketer for Nottinghamshire. Bielby supported by his wife Alison, had a network of distributors who would take videos directly to local video shops, grocers, newsagents - any small business that wanted a sideline. The video rental business had also been through boom and bust and computer games seemed an ideal supplementary line. A meeting was convened at the Clifton Ford Hotel, just round the corner from George Street, at which the idea of Mastertronic was pitched to Bielby and his team. The enthusiasm was sufficient to launch the business. Gershinson and Medway put up enough money for licences to be bought, cover art designed, tapes duplicated and packed and the necessary overheads, including the creation of the distinctive Mastertronic logos and brand imaging. Sharam and Dye became involved in the logistical aspects and gradually committed to working full-time for Mastertronic. The company started trading on 1 April 1984. My involvement began in August 1985. Why was it called Mastertronic? As part of a general marketing plan in which the word Master was going to be used with lots of other words. I think in the very early days it was intended to distribute various electrical products but only the computer games were successful. The company briefly published records under the name Mastersound and videos as Mastervision. These were not particularly succesful ventures. They also used MasterAdventurer for those games that fell under the “adventure” category. This was partly due to early dealings with Carnell Software to publish an elaborate adventure game for the Spectrum called Wrath of Magra. Carnell Software was in financial difficulties and ceased trading in the summer of 1984. Two of their titles were republished, Volcanic Dungeon and Black Crystal. The first computer games boom was based on the Atari consoles. This collapsed around 1982/3 but the new generation of cheap programmable computers was emerging. This was led in the UK by Sinclair products (the ZX80 / 81/ Spectrum range) with fierce competition from Commodore’s Vic and C64. The retail end was poorly organised. Console games had been sold by a variety of outlets typically electrical stores, photographic shops and some of the high street chains. These pulled out of the market. Mail order was popular for consumers living away from town centres. But in a town centre where did one go for a computer game? There were virtually no specialist games shops. Were games toys, or published products like books and records, or did they rightly belong with consumer electronics alongside the computers on which they ran? There was no obvious answer to this question. What was certain is that the trade was in disarray. The failure of the first consoles made retailers suspicious. The buyers for the large high street chains of which Boots, WH Smith and Woolworths were leaders, were confused by the different sorts of home computer. They did not know how to cope with suppliers that might produce a good game one month and then nothing but failures thereafter. They were afraid to commit to buying product unless they could be sure of returning it for a refund, but who knew how long the new games publishers would be in business? And how did you sell a computer game anyway? A customer could flip through a book, listen to a record, pick up a toy. Games were slow to load and needed some understanding which counter staff lacked. It seemed crazy to put a tape into a computer, wait five minutes for it to load and then watch the potential customer play with it for ten minutes before deciding not to buy. Retailers were not persuaded that there was any profit in the business. Mastertronic was started by men who understood distribution and marketing. They knew nothing about computer games and were proud to boast1 that they never played them (but this is no different to the heads of large record companies who never hear the music of their stars). When programmers came in with demos, someone would have to setup the machines, load the games and even plug in the joysticks for the directors. Mastertronic never employed programmers directly (unlike Virgin Games who at the time of the merger had a programming staff of 6, with several others on special projects). Everything was bought in from outside, either directly from the authors or from other games publishers. Once established, the company was deluged with games from enthusiastic amateurs and managed to publish quite a few of them. Before the company started trading, the business strategy had been defined. The separate elements were each vital to success. These were distribution, sourcing and pricing. Mastertronic's founders had backgrounds in video distribution, another boom/bust trade and used their contacts to set up distribution to retailers. At the beginning the high street chains were not interested. But because the games were cheap it was easy to persuade small retailers to take them. Richard Bielby has said that there was a "gentleman's agreement" between himself and Frank for Richard to handle all the independent retailers - it would be typical of Herman that such an understanding was informal and based on a handshake - and he and his wife kept in touch with dozens of shops and traders, bought in bulk from Mastertronic and broke the stock into manageable units for their sub-distributors and merchandisers. Many had experience of the video distribution business, now rapidly consolidating as big high street operators took over. They were glad to switch to computer games which were, as Bielby says "... a nice extra line to sell during the quieter summer months". The Mastertronic team found customers in newsagents, sweetshops and garages, video shops and groceries, even motorway service stations. Shops were encouraged to take "dealer packs", 100 games at a time mounted on cardboard racks. They were asked just to give the products some space. Sale or exchange agreements meant they undertook no risk. Martin Alper seen with a dealer pack on its cardboard stand. This photo, from the Venturebeat obituary to Martin, is attributed to "Virgin" but was originally published in Popular Computing Weekly, 19 July 1984, where it illustrated a fascinating interview. The framed picture on the wall is the cover artwork for Spectipede. Cracking the high street chains was much harder than local newsagents. The nervousness of the retail trade about the continuity of computer games product was profound. Buyers did not want to rely on publishers who might not deliver new product on time. They wanted the same sort of assurances that the long established record and book publishers could supply, with guaranteed releases of new titles and buyback arrangements for overstocks. Mastertronic set out to provide these assurances. While other publishers based their marketing strategy on the output of one or two key programmers, Mastertronic cast its net wide and aimed to have a constant flow of new titles. By June the range was in HMV, then one of the major record retailers in the UK, but a constant complaint of readers to games magazines was that Mastertronic games were hard to find. Even in 1986 they seemed elusive. Sharam was heavily involved in the campaign to reach the big stores and the author was in his company when Woolworth's, in a stunning reversal of attitude, requested our help in stocking and selecting software. He was virtually rubbing his hands with glee. Unlike its competitors Mastertronic did not entrust the storage and distribution of its products to wholesalers. Determined to control the distribution process, the directors set up their own warehouse. In the early days this was a cellar in Paul Street in the unfashionable part of the City of London, run by Ken Dye. It is almost certain that Sharam selected the premises himself with his own knowledge of the property market and he closely supervised its day to day running. Modern day Paul Street, looking towards where the warehouse used to be (in a cellar on the left). The office block where Mastertronic was based between 1985 and 1988, a few yards the other way down the street, has been demolished. Although most of the employees in the Paul Street warehouse were casual labourers, to take on the overheads of a warehouse was a bold step, one which very few publishers would ever do. But for Mastertronic, the key was to keep promises about delivery. No publisher working through a wholesaler could guarantee when products would be issued. A customer buying from Mastertronic could, if he wished, go to the warehouse and collect his goods there and then. Running the warehouse kept the directors in touch with the physical side of the business. They were forced to understand how to pack games, what sorts of packaging broke in transit, what sort of labelling was required by retailers, and every aspect of distribution. Mastertronic also notably pioneered the "colour coding" for games by having a coloured triangle on the top right hand corner of the front and rectangles on the inlay spine with the catalogue number and format:, Spectrum games were yellow, C64 were red and Amstrad were orange. This led many software houses to use variations on this theme but keep the colour coding so people could easily identify the format. Retailers, who understood very little about computer games, liked this system and it enhanced the professional image of the company. Because Mastertronic was a publisher not a software house its first big problem was to find the product. One important source was Mr. Chip, a software house run by Doug Braisby. (The business still exists and is now called Magnetic Fields). The games he sourced sold 395,000 copies in the first 15 months of Mastertronic's life (to June 1985). But this achievement was eclipsed by another key source, the brothers David and Richard Darling, themselves destined to become major players in the industry. They had their own publishing company, Galactic Software. Having mastered the art of quickly developing games for the Vic and C64, the Darlings set up a partnership with Mastertronic which gave them both a royalty and a share of the profits on the sales of their games. Some of the Galactic back catalogue was republished alongside newly-written games. The partnership was astonishingly successful. In that hectic first 15 months nearly 750,000 games written by the Darlings were sold, netting them some £85000. Professional programmers would have been glad of such sales. For two boys of school age this was evidence that games were likely to be better than education and as soon as they could the Darlings left school, terminated the deal with Mastertronic and set up a new company, Codemasters. To put these two sources in perspective, about 2.1 million units were sold of all titles in that first 15 months. Thus the deals with Braisby and the Darlings secured 55% of the early Mastertronic sales. Later on, as Mastertronic became known. many people approached the company with finished games, or just ideas, keen for Mastertronic to publish their work. The early Mastertronic games were produced for the computer formats that were dominant at the time. The Vic, C64 and Spectrum were the main machines. The marketing strategy required a flow of titles so that retailers had compelling reasons to keep the games prominent in their shops, and to attract and hold the interests of the consumers. Great care was paid to the appearance of the games and to the image of the publisher. Quality artwork was commissioned for the inlay covers. Some of these pictures, particularly those with science fiction themes, undoubtedly helped many an undistinguished game to sell. One agency - Words & Pictures, run by Gary Grant, supplied all the cover artwork at this time. They in turn relied heavily on two artists, Mark Brady who specialised in the science fiction look, and John "the brush" Smyth who favoured a more cartoon-like look. There was a Mastertronic logo and colour coding to help retailers identify the computer format. The three key suppliers – the tape copier, the arthouse and the printers – were all geared to fast responses. They understood that it was often crucial to get a certain number of titles out each month. In 1983-4 most computer games retailed in the UK at prices between £4.99 and £7.99. Retailers disliked cheaper games because they made less profit and the public were suspicious of the quality of “budget” games (quite rightly so in the majority of cases). Mastertronic games were priced at £1.99. How could they do it? At that time all computer games in the UK and Europe were distributed on cassette tape, similar to that used for musical recordings. Computers using floppy disks were available, most notably the C64 and the models aimed at business, such as the Apple, Commodore Pet and Tandy ranges. But these were mainly sold in the US. In Europe the cheaper tape-based models had the overwhelming part of the games market. Games were short, reflecting the limited memory capacities of the computers. The largest was the C64, with its supposed 64000 bytes of memory. In fact the amount available to run programs was about 38000 bytes, the rest being used by the computer for internal operations. Computer code that filled this space fitted onto a short length of tape that could load in about 5 minutes. For a reasonable print run, a tape duplicator could produce copies for about 25 pence each. Inlay cards cost about 3 pence each. The artwork cost anything up to £1000; assuming a print run of 20,000 this reduced to 5p per unit. Other distribution costs might add 5 pence in total. The principal supply of duplicated tapes was an Essex-based firm called Peakmyth. It was originally a video duplicator and Herman knew its owner, Mike Dawson. Dawson's own words tell the story, and provide further illustration of the casual but warm and personal way that Herman did business. He also was one of the few non technical people to understood that you can't produce millions of tapes on schedule with sub standard material and keep rejects low. After about 6 months they became 90% of my turnover so I sold 50% to Frank as I felt this was going to get very big and I was not interested in sales only running the plant. It shows you that that it pays not to be greedy and it tide them to me as they receive half the company's profit. Over the years there were a few punch ups between my staff and Mastertronics regarding us not getting the masters on time and and the rejects etc. I used to go round Frank's house on a Saturday morning and it took about 10 mins to sort thing out and then we had some toast and coffee The amount of money both of us were making who's interested in a few hundred pound one way or the other. I do feel that it was the relationship I had with Frank stopped any conflicts between both company's over the years." The close relationship with Peakmyth, and with other duplicators later, meant that Mastertronic bought its tapes at 22 pence. So a game could be duplicated and put out to market for a total cost of some 35 pence. The other main cost was the software itself. Games could be purchased outright but most authors wanted royalties, not wishing to lose out in case of success. The standard deal that was offered in 1984 was an advance of £2000 and a royalty rate of 10 pence a unit. Many young authors were very happy to take this, especially when Mastertronic went on to sell 50,000 copies or more. In later years royalty deals moved closer to the standards in book publishing with royalties based on a percentage of receipts but in 1984 this would have made no difference -all games were sold at the same price anyway. Having set the costs, the profit depended on the wholesale price. Here the calculations work backwards. From a retail price of £1.99, VAT (15% at the time) took 26p. Retailers expected to make a margin of 30%. They would therefore not buy at prices higher than about £1.30. Between this price and the production cost of 45 pence was a margin wide enough to cover advertising, overheads, the profits of distributors and (provided there were not too many), the costs of failed titles. In practice Mastertronic sold to distributors at about 90 pence a unit, reduced to around 80 pence in the more competitive late 1980s, and at about £1.30 when able to distribute directly to retailers. This pricing structure would generate good profits provided sales were high enough. If the total sales of a title were just 10,000 units then raw material and distribution cost might be £3000, artwork and advance to author a further £2500 and the receipts about £9000. So this would bring a reasonable gross margin of 38%. But in the early days we easily exceeded 10,000 units per title The 10 C64 titles released at the start of Mastertronic's life sold on average 40,000 in the first year and over 50,000 before being withdrawn from sale. The Vic titles achieved 44,000. Surprisingly the early Spectrum releases did less well but still averaged 28,000. Budget pricing was proved to be perfectly viable provided that most titles achieved good sales, and in the fast growing market of 1984–6, at the “pocket-money” price point of £1.99, they did. Rapid growth required more staff and the development of internal systems for accounting, sales, stock control and royalties. The company left George Street for a flat overlooking Regent’s Park in a block everyone called Park Lawn (it was actually named Park Lorne). By now there was a games buyer, John Maxwell, with two assistants and some PR, accounting and secretarial staff. 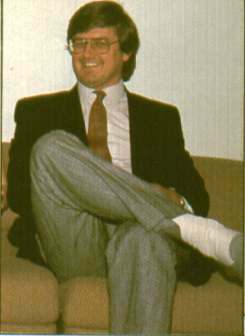 Terry Medway ceased to be actively involved at this time, according to Colin Gershinson, though he remained as a director of Mastertronic Ltd until 1987. Gershinson himself played no part in the management of the business, other than attend some board meetings. I was Company Secretary from late 1985 onwards and never met either Medway or Gershinson. Board meetings, with Herman as chairman,were about as casual as it is possible for such events to be. I joined in August 1985 as Financial Controller. I had to put in financial systems and replace a useless computer system with something suitable for such a fast-growing business. Because the company relied on outside sourcing for all product, I was scrupulous about keeping good records and paying royalties promptly (four times a year). This was one of my key responsibilities. It also brought me into contact with many of the programmers. Park Lorne was too small and in September 1985 Mastertronic found new offices in Paul Street (where the warehouse was situated). The company stayed there until merging with Virgin Games in September 1988. The MAD launch was an exception to the policy of not spending a lot on marketing. Competitors spent plenty on advertising, mainly in magazines.Mastertronic rarely advertised. This probably reduced the amount of editorial coverage about the company and “puffs” for forthcoming releases but there were fair reviews once games were released. The press had been fairly contemptuous at first. In 1985 there was a grudging acceptance that some budget games were good value for money (for the traditional view see this snippet about Action Biker) and some as good as any full price product, and the dismissive attitudes gave way to a "How can they do it at the price?" admiration. In 1986 Mastertronic became “cool”. The company began to be deluged with games, game ideas and propositions. Sample tapes arrived daily and were placed in the "magic postbox" for evaluation. People would walk in off the street and if their work impressed they could be offered a contract there and then. I once overheard Frank Herman asking a hopeful programmer if he had an Amiga. When the kid said he did not, Frank told him to take a spare one from the testing area4. The popular TV show "Jim'll fix it" featured the creation of a game for a youngster. This was marketed as Supertrolley and featured a cover with a cartoon Jimmy Savile. Some programmers visited us regularly. I enjoyed meeting guys like David Jones (Magic Knight series), Clive Brooker (Empire strikes back, One Man & His Droid, Lap of the Gods), Kevin Green (Skyjet, Flash Gordon, Space Hunter) and Jim Ferrari (King Tut, Human Race, Hollywood or Bust). Now and then Rob Hubbard would pop in to hand over his latest tune. We even had the odd visit from the shaggy-haired boss of Llamasoft, Jeff Minter, several of whose titles we republished. Several programmers worked for the company for a while as technical advisors - Stephen Curtis (Nonterraqueous, Soul of a Robot, Into Oblivion) Richard Aplin (Destructo, Fly Spy, Ultimate Combat Mission) Tony Takoushi (Frenesis, Hyperforce and a journalist for magazines such as The Games Machine). 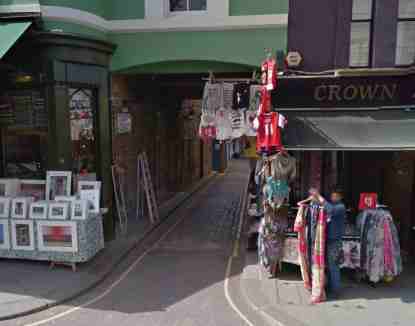 In 1986 the business outgrew the little warehouse in Paul Street. Distribution was outsourced to a packaging company in Dagenham, confusingly called Masterpack5. Mastertronic soon became the biggest customer of Masterpack and eventually had its own dedicated warehouse on the site. In this the company continued to be different to nearly all of its competitors who relied upon wholesalers to stock and distribute their product. The early success of the first batch of games in the UK encouraged Mastertronic to exhibit at the summer CES show in Chicago in 1984. A partnership with Classic Family Entertainment, based in California, created a joint venture called Mastertronic Inc. 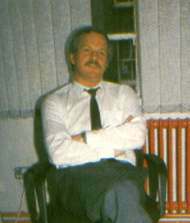 Although the man named as president, Sidney Niekerk, had links to Herman's video business (and therefore they presumably knew each other well) the joint venture did not last very long because in 1985 Mastertronic Inc, commenced production of disk-based software at a facility in Frederick, Maryland.This company was owned 80% by Mastertronic and 20% by the owner of the factory, Gary Snyder6. A few pictures of the company's production facility are available here. In 1986 Martin Alper, who had the most marketing flair, moved to California and established the software design and sourcing arm of the business in Costa Mesa, in the suburbs of Los Angeles, though production continued in Maryland for many years. Mastertronic Inc could only distribute C64 games at the start because all the other 8 bit computers were virtually unknown in the USA. Gradually Alper introduced games for the new 16 bit machines and Mastertronic Inc began to take on a different profile to the UK based business. Links with US software houses provided a new source of games and the label “Entertainment USA” was created to showcase these in Europe. This was balanced by another label, Bulldog ("Best of British"), which took its name from a customer (a subsidary of Melbourne House) acquired when they were on the verge of going bust. 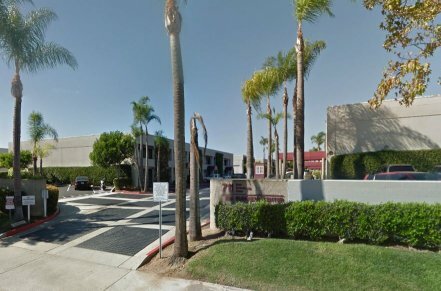 The business centre at Costa Mesa where Mastertronic Inc relocated. A bit nicer than Paul Street. Herman also found exclusive distributors in the major European markets and thus created the impression of a truly international group. Mastertronic SA and Mastertronic GmbH were formed in France and Germany respectively, Mastertronic owning 51% of the shares in each with the local distributor keeping 49%. (The registration of the name in France faced obstruction from the literal minded authorities who protested that the word was neither a real name nor that of a product and was therefore unacceptable). Oddly, the men running the three main European distributors were all British; Cameron MacSween in France, John Kellas in Germany and John Holder in Italy (This latter was never owned by Mastertronic). Personal relationships struck at computer shows brought these arrangements into being. The UK company was now managed by Herman, whilst Sharam increasingly specialised in sales and logistics (warehousing, packaging, controlling production schedules). 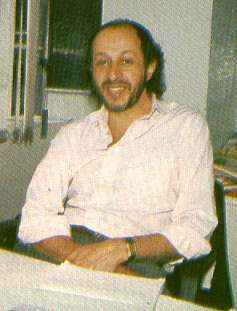 In the late summer of 1986, Mastertronic recruited Geoff Heath as Director of Marketing. Geoff had run both Activision and latterly Melbourne House. He was a heavyweight in the games industry and his appointment marked a step up in Mastertronic's internal development. His long term target was to bring the company into full price software. 16 bit computers became popular and for the first time the quality of games for the home machines, such as the Amiga and Atari ST, seemed similar to those in arcade machines. The 16 bit range was launched, somewhat belatedly, on a new label called 16-Blitz although the name was not used for very long. There was even a range of games for the IBM PC and its many clones; using these machines for games was commonplace in the USA but a novelty in the UK. 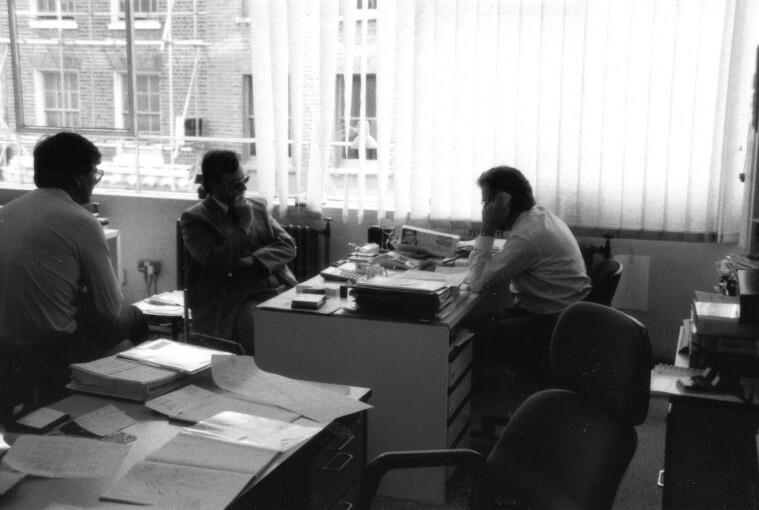 Geoff Heath (on phone) with Alan Sharam perched on desk in a meeting with an unidentified person. A rare picture showing the reality of the Paul Street offices (apologies for poor quality of this scan from a b&w original). Mastertronic Inc began to develop a range of new arcade games that would run equally well on home computers. The company agreed to buy a large number of Amiga chips from Commodore to power the new arcade machines. This venture, called Arcadia, nearly killed the company because the project developed slowly and the games were poor quality and not well suited for arcades. This demonstrated a weakness in the setup - any games player could have explained that a home computer game is fundamentally different in design to an arcade game. But nobody asked games players. However, the name Arcadia was used in the USA in preference to Melbourne House. The flourishing state of the Amiga market meant that Commodore did not enforce the contract, fortunately. The success of the budget range and the growing influence of Mastertronic led to the company becoming the main supplier of both budget and full price software to a number of major retailers in the UK, notably Toys'R'Us and Woolworths. Some full price publishers were happy to let Mastertronic rerelease their older product at a budget price and of course this was easy business. The Richochet label was born, featuring in particular games from Activision and Martech. Two special labels, Rackit/Rebound and Americana were created for Hewson and for US Gold respectively.US Gold soon after created their own budget label, Kixx, run by John Mearman (who had owned the Bulldog distribution business and who became Mastertronic sales manager after the company was taken over). Acting as a wholesaler may not have been in best interests of the business- it was very distracting and time-consuming for all the staff, quite expensive because it required special packaging, and contributed to a neglect of the budget business. Mastertronic had always steered clear of publishing full-price software but changed direction radically in 1987. Herman did a deal with Fred Milgrom, whose Australia-based Beam Software owned the famous UK publisher Melbourne House, when that company was struggling with financial problems. Melbourne House kept its label identity and a few of the staff joined the Mastertronic team, notably Rachel Davies the marketing manager, and general manager Martin Corrall. Ironically, they were reunited with their old boss, Geoff Heath, who had left hurriedly only a few months earlier.This move meant that Mastertronic had first refusal on re-releases of games such as The Hobbit, Lord of the Rings and The Way Of The Exploding Fist. However the main justification for the purchase was to provide a vehicle for the sale of full price games and, in particular, as a sales outlet for the home version of arcade games produced by the Arcadia project. 7 There were supposed to be a large number of titles in production, by Beam Software or by UK freelancers, from which the purchase price would be recouped; several were deemed unsuitable for release and sales figures for those that did complete were very disappointing, A legal dispute with Beam Software resulted in a substantial reduction of the purchase price, £850,000 originally; cannily, Herman had agreed to pay it in instalments as a means of protection. In 1987, following negotiations between Herman and Richard Branson, Virgin Group purchased the 45% of shares held by the outside investors. In that year Mastertronic's turnover was about £8 million and pre-tax profit £1 million. The deal valued the group at around £10 million. The remaining 55% was held by Alper (25%), Herman (20%) and Sharam (10%) and they sold out in 1988 in a highly complex deal which required their continuing involvement in the business and achievement of profit and cashflow targets. The company was renamed the Mastertronic Group Ltd, and later was merged with Virgin Games to create Virgin Mastertronic. In September 1988 Mastertronic left Paul Street and its staff joined forces with Virgin Games in their mews offices in Vernon Yard, a side turning off Portobello Road in London’s highly fashionable Notting Hill. This signalled the beginning of the end of the key Mastertronic budget business. Virgin were not really interested in it – they wanted the Sega franchise (see below). The entrance to Vernon Yard as it is now. The graph shows the volume of budget games sold in the UK and European markets between 1984 and 1990. The seasons run from July to June, except 1984/5 which begins in April 1984. (Equivalent figures for USA sales by Mastertronic Inc are not available). The peak was in 1987 and then sales declined almost as fast as they grew. The number of titles released actually increased in 1987/8 so the unit sales per title were falling rapidly, eroding the profitability of the business to the point that there seemed no point in continuing. Loss of interest by the management of Mastertronic – the absorption of Melbourne House and the merger with Virgin took up huge amounts of management time (including my own). There was almost nobody to take an active interest in the budget business, even though this was the cash cow that made everything else possible. Declining quality of budget games – this a personal view. The company had begun to rely heavily on a few software houses – such as Binary Design, Icon Design, Palmer Acoustics – and less on individuals. Large advances were paid to the software houses (in some cases for games they never delivered) and there was less money available to pay to solo programmers. The high pressure on the software houses to deliver batches of titles on time to meet Mastertronic's commitments to its retail customers tended toward formulaic and highly derivative games. These in turn did not impress the ultimate consumers and the reputation of Mastertronic declined. The revival of the games console market, spearheaded by the Nintendo Famicom and Sega Master System. Fortunately this was one development that Mastertronic was heavily involved in. Frank Herman, in early 1987, spotted that Sega had no UK distributor for the Master System range, because Ariolasoft had failed to impress the Japanese-based group. He applied and Mastertronic were appointed distributor for one year. Martin Corrall, who was somewhat at a loose end after the absorption of Melbourne House, was the ideal manager for this new line of business. The company sold all it could get that year, the UK distributorship was renewed and in addition within two years were appointed as distributors in France and Germany, and thus was born the huge business that was to become Sega Europe. In 1991 the group turnover was around £100 million, a phenomenal growth. Nearly all of the sales, and certainly all of the profit, came from Sega products. Staff numbers soared but the traditional games publishing side began to be neglected. Full price games such as Golden Axe and Supremacy were achieving significant results and making the budget business seem irrelevant. In early 1991 Sega expressed interest in taking over the business. Virgin Group was happy to sell. Sega had no interest in the games publishing side. As a result nearly all the staff moved over to Sega when they bought the business that summer and only a handful of Virgin games programmers stayed with the publishing side (quickly renamed Virgin Interactive Entertainment. By that time the budget business was dying and nobody cared about it. In any case the competition had become intense as everyone was now recycling their old full price games as budget games. And of course the kids who used to buy C64s and Spectrums were now buying Segas and Nintendos. After the Sega takeover Frank Herman became deputy Managing Director of Sega Europe (with Nick Alexander as MD) and Alan Sharam was Managing Director of Sega UK. 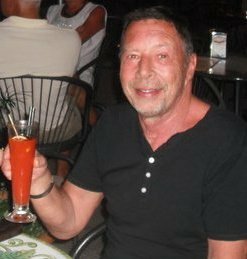 Martin Alper stayed with Virgin and continued to head up VIE for several years, remaining resident in the US. And I also moved to Sega where I became European IT Manager. VIE rebranded its budget range under the "Tronix" label, possibly because the legal rights to the name Mastertronic remained with Sega Europe. Sometime around 1992-3 VIE pulled out of budget games altogether. It is still possible to buy original Mastertronic tapes because large quantities of unsold games came back from the retailers and some are still being sold today. Somehow the name continues to bring back memories. There must be many thousands of kids who could not afford the more expensive games and who were able to enjoy gaming thanks to Mastertronic. The business really was unique - it could not be replicated today. Games are now developed by teams of programmers and designers and typical retail prices are £30 - £45. The days when a teenager could walk unannounced into an office, load up a tape and instantly be offered a publishing deal have gone. But there was really a time when this happened. It is beginning to feel like a legendary era but it was only twenty years ago8. In August 2003 Mastertronic was reborn. The name was used to launch a new range of budget games, all of which had previously done well as full price titles. Frank Herman joined them in March 2004, resuming his old position as Chairman. There was no relation between the new company and the old, other than the name. Sadly it all came to an end in 2015 when the new Mastertronic, in financial difficulties for over a year, went into administration. 1. Martin Alper to me on several occasions; echoed almost word for word in a later blog by a VIE employee, and also here where the author writes "Probably the single biggest problem at Virgin which I think was a big factor in lots of the other problems was that the boss was not a gamer in any way shape or form". 3. I never understood the success of this title. What is the point of playing a simulated fruit machine on a computer when the only point of a fruit machine is to gamble? 4. I was annoyed because the Amigas were relatively expensive and I was trying to keep track of what we we spending. 5. I can’t remember if this name was just co-incidence or if the packaging company renamed itself when it got our business. The owner of the business, David Bishop, confusingly has the same name as one of Virgin Games chief game designers who later worked at VIE with Martin Alper. 6. Snyder later married one of Mastertronic's merchandising team, Ann Kemp, and settled in England. 7. I disagreed with the purchase because we could have easily launched our label with the £850,000 purchase price and had plenty to spare. © Anthony Guter - April 2004 and updated 2012 and 2016.